Hollis JohnsonAlmond Breeze is recalling some of its products over concerns that they could contain milk. Almond Breeze is recalling more than 145,000 half-gallons of almondmilk because they could contain actual milk. So far, there has been one reported allergic reaction after someone with a milk allergy drank the now-recalled Almond Breeze, which is supposed to be dairy-free. The affected almondmilk has been shipped to retailers in 28 states. Some Almond Breeze products are being recalled over concerns that the almondmilk contains actual milk. On Thursday, parent company HP Hood LC issued a recall on more than 145,000 half-gallon cartons of Vanilla Almond Breeze almondmilk because the drink may contain milk. “People who have an allergy or severe sensitivity to milk run the risk of serious or life-threatening allergic reaction if they consume these products,” the company said in a statement. There has so far been one reported allergic reaction, according to Hood. The affected products have been shipped to retailers in 28 states and have a use-by date of September 2, 2018. If you bought a recalled half-gallon of Almond Breeze, you can return the almondmilk to the store where you purchased it for a full refund or exchange. Or, you can visit the brand’s website to complete a form to receive a refund. The website also has more info on how to figure out if your half-gallon of Almond Breeze is included in the recall. 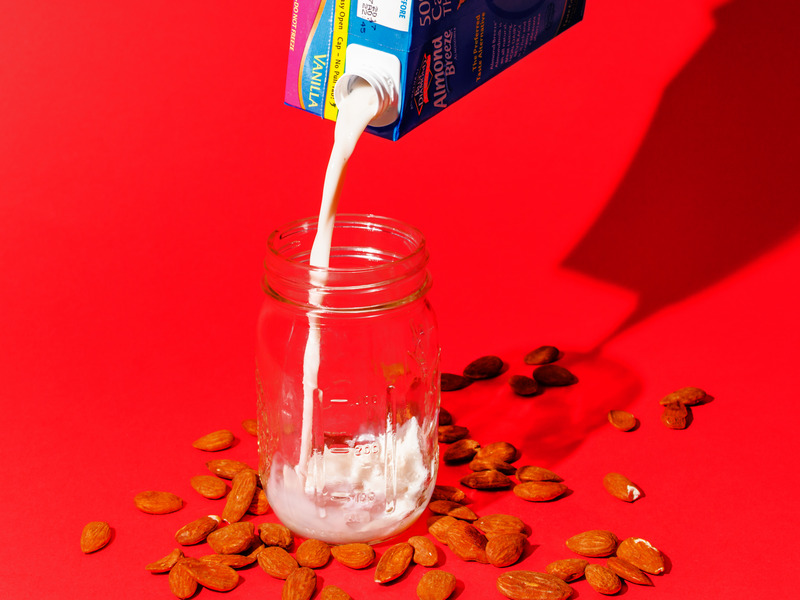 Almond milk has been under fire recently, precisely because it doesn’t contain dairy milk. The Dairy Pride Act was introduced in Congress in January, and it attempts to prevent companies that produce plant-based alternatives to dairy products from using terms like milk, cheese, or yogurt.